Smiling Is Good for Business at Professional Conferences and Expos | Sweet Deal's Blog! In the exciting, rapidly evolving world of digital media, leading companies must be able to engage with other movers and shakers in the market. To be able to demonstrate the full meaning of the word ‘engage’, a spokesmodel trained to represent a cutting edge digital media company must be impressive and well informed. Sweetness goes a long way, but a nuanced understanding of our clients’ professional operations takes a networking opportunity even further–From strictly business to business and fun. Our intelligent spokesmodels strive to represent your business with exemplary professionalism and memorable charm. PaymentOne, a valued client that connects digital merchants and network operators by providing secure, easy third party billing, attended the Engage 2011 Conference and Expo at The Javits Convention Center in NYC. To take full advantage of a conference, executives usually attempt to be in many different places at once: business meetings, keynote addresses, other booths, etc. Our clients can feel confident that their booths are being gracefully represented as they make their appointments. The Engage 2011 Conference and Expo took place alongside the American International Toy Fair, allowing attendees from the digital concept and programming side to interact with the buyers and exhibitors. United under the same roof, the business opportunities were ripe. 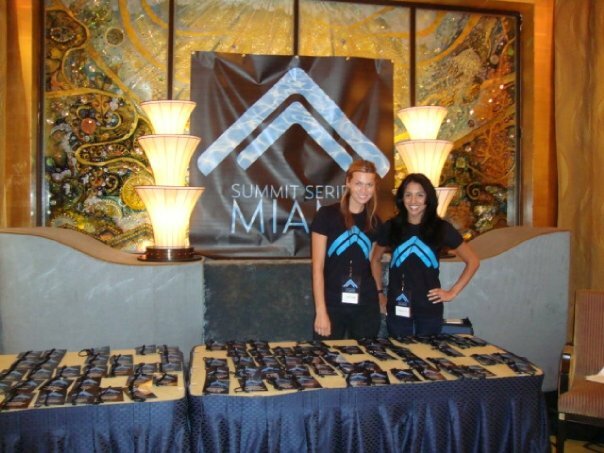 Our savvy spokesmodels know exactly how to capitalize on such opportunities. A natural communicator, she explains the basic concept of PaymentOne to an interested passerby, remaining conscious of the nametag around his neck and his interest in the company she represents on the tradeshow floor to ensure that she delivers information that is precise and relevant. A sweet model practices an effortless interpersonal zeal at all times, which is very important when making impressions on potential business partners. Even more important, however, is the preparation that she receives in order to effectively market her client. Commanding the booth by collecting and handing out business cards, fielding questions, making connections, and reporting to the client keep her on her toes. She’ll also help you set up your fussy banners and displays and come up with solutions for any problems that may arise. Our models are handy! If you are interested in hiring a capable spokesmodel with experience working professional conferences, expositions, and tradeshows, you may consult our model registry, or we’ll happily provide a model with the desired qualifications. Please contact info@sweetdealin.com. This entry was posted on March 10, 2011 at 9:57 am and is filed under Creative Marketing, Professional Conferences, Professional Conferences and Expos, Special Events, Uncategorized. You can follow any responses to this entry through the RSS 2.0 feed. You can leave a response, or trackback from your own site.